Textfree Unlimited was $5.99, now FREE on SALE! Excuse us, while we TURN THE TEXTING WORLD ON ITS HEAD!! Textfree Unlimited was $5.99 and now it’s FREE on SALE!! No messaging limits, no yearly fees. Plus Textfree is the ONLY app that gives you a real phone number to text with. How can we afford to do this? Good question. The phone number was really hard to do, and it costs real money to give people phone numbers. So in exchange for getting a phone number, Textfree has some ads. …Yet you don’t even NEED a phone! If you have a phone, now you don’t have to pay $20 a month for unlimited texting. We’ve done away with yearly fees. You’ll never have to pay for unlimited texting again. When you update to Textfree Unlimited 3.4, you have the OPTION to get a phone number. If you CHOOSE a phone number, you agree to get ads. If you REALLY hate ads, you have the option to buy them out. Get Textfree Unlimited FREE in the iTunes App Store. Doodle Buddy 1.2 has been approved! Doodle Buddy 1.2 is in the iTunes Store! You now get extras like a 44,000-color picker, more backgrounds and stamps! Even post your doodles to your Facebook page. Get Doodle Buddy in the iTunes App Store. Doodle Buddy Premium has even more stamps and backgrounds and no ads. Get Doodle Buddy Premium the iTunes App Store. Textfree Unlimited: phone numbers now available to everyone! Textfree Unlimited 3.3 has been approved! No longer in beta, phone numbers are available for EVERYONE! Give your new number to friends and they’ll be able to text directly to your phone number. Search “Pinger” in the iTunes App Store to see our latest products. Ever wonder what goes on behind the scenes at Pinger? Here are some random tidbits. You’ll feel like you’re here with us! We used to eat at the local Phở place all the time, until someone noticed a big booger in the server’s nose. Now only half of us go—sometimes you gotta put up with the thorns if you want to enjoy the roses. At least one decision has been made by arm wrestle, but that was a long time ago. 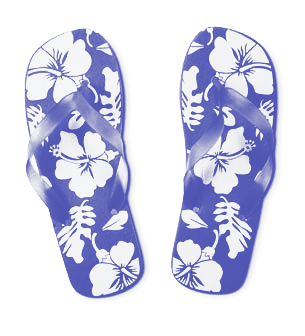 In summer, flip-flops are part of our dress code. Our marketing manager once challenged our product manager to a wrestling match – the winner got her project queued up first with the creative department. Sometimes a few of us go out and do handstands in the hallway. We doodle on the conference room windows. Maybe that’s why Doodle Buddy is so fun. At least two of us have been injured bouldering. One broken ankle (3 screws) and one really bad sprain. We are one gallbladder short. We won’t tell you who. We secretly take pictures of each other and PhotoChop them. Then we send them via Textfree. Nothing like getting an unexpected picture message of yourself charging a sumo wrestler during a meeting. We celebrate every employee’s birthday with a song and a cake. Sometimes the candles won’t blow out. The air conditioning ducts on our ceiling are painted periwinkle. That’s our official company color. RGB is 97, 100, 206, if you’re curious. All the artwork on our walls is by internationally recognized contemporary painter, Gregory Burns. Cool guy! Cool stuff and it’s all for sale. We play horrible pranks on each other – usually involving stealing each other’s favorite toys and hiding them. Our QA manager once had her Nabaztag kidnapped. A ransom note soon followed with the Nabaztag’s ear attached, listing demands for return. We finally found out who did it. That was classic! There’s a shock-toy in the office. The cleaning crew plays with it at night when they think no one is watching. Our company holiday parties are rife with inappropriate white elephant gifts. Test phones randomly ring in our office all the time. They have all sorts of weird ringtones because we never bothered to turn off the ringers or change the tones. We can go through a wholesale size bag of M&Ms in a day. We had to stop ordering them. You’ll be notified on your device when the update is available!